I went to the dentist today and it was not such a pleasant experience. I’m in a program at the dental school at the University of North Carolina where I’m seen by seen by a student, and the one who takes care of me is really great. The program at the university is well run, and I appreciate it not only because it is less expensive, but also because it’s interesting for me to see how the system works, and doesn’t work. Today I had to get a filling replaced. For some reason the anesthetic didn’t really take, and as soon as the old filing was removed and work was started on cleaning out the area, I felt pain in the nerve. The students and their advisor were a bit surprised because I had been given a full dose of local anesthetic. After that, they had to give me a second, and then a third shot, because I still felt pain. One thought that I had was that it was because of the MRSA infection I had a few years ago that go so infected they couldn’t even use a local anesthetic on it when they tried to drain it. Instead, they lanced it with a razor by plunging it into the middle of the 6 inch swollen abscess. The pain was so intense it set off fireworks in my eyes and I screamed as if I was being murdered. So perhaps any indication of nerve pain set off blaring alarm bells in my brain. They eventually had to give me 4 times the dose of painkiller, so things took longer and my jaw ended up being extremely sore afterward. Again, the student who is in charge of my care is thoughtful, kind, and connected. However, he simply isn’t as experienced as someone who has been practicing for years. The real problem though was the rubber dam they put up to make sure that the area being worked on stayed isolated and dry. It was like a torture device that was difficult to install. The rubber made it hard for me to breathe, both through my mouth and nose, and I felt trapped beyond belief. I felt a rising sense of panic that I had to work to keep at bay. Thankfully, due to a year of meditation practice, I was able to find some calmness. As I lay there with my mouth cranked open I tried to be aware of the ways in which I unnecessarily held stress in my body. I noticed my whole body tensing when I heard the whine of the drill. I concentrated on my breath and consciously relaxed my muscles. 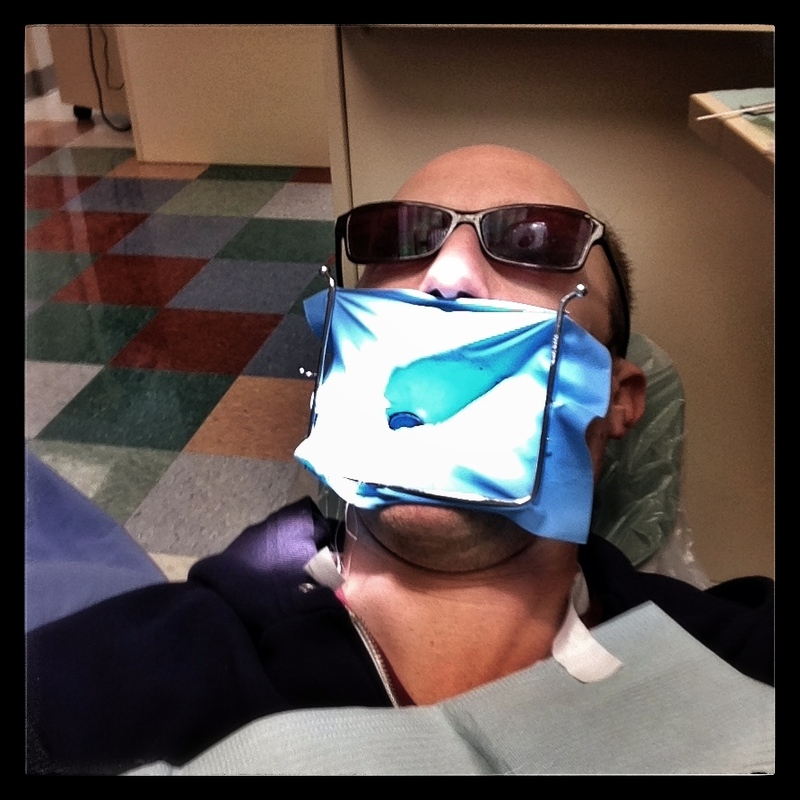 It wasn’t easy, as I often feel claustrophobic in the dentist chair. Slowly though I found myself moving into a deeper meditation state. 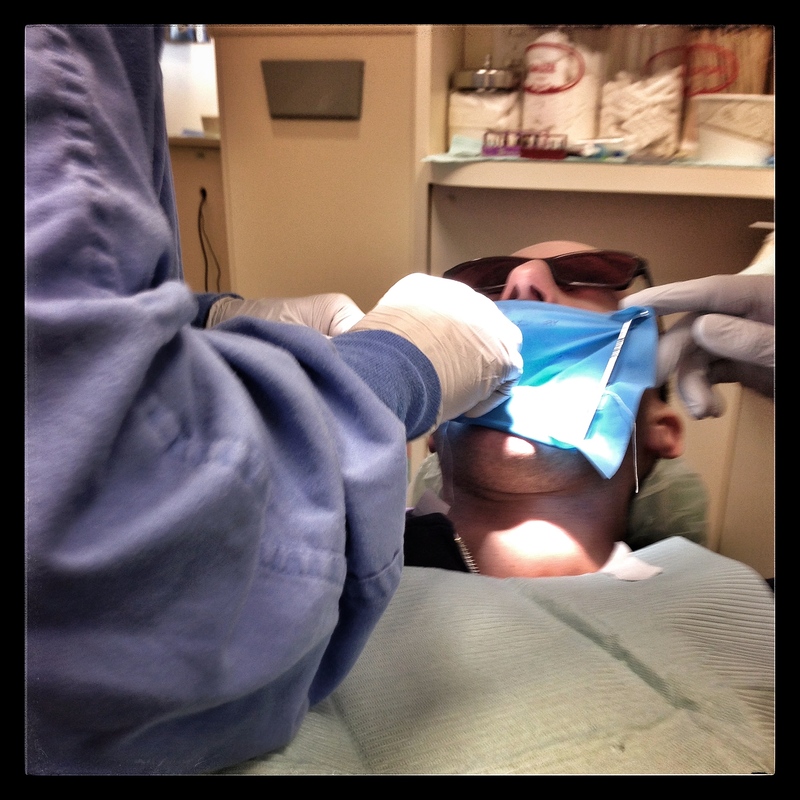 The student was so focused on my tooth that I started to feel like I wasn’t even there. When the advisor came to review the work he asked the students if they’d made sure to check my vital signs since they’d given me so much anesthetic. I started to wonder if all of the local numbing agents had started to go to my soul. He saw a little bit of work that needed to be done and graciously did it himself to spare me any more time in the chair. Again, I’m not complaining about the school or the program, but instead trying to talk about my own personal dislike of being in that chair. Still, I couldn’t help but be aware of the fact that my response is probably not unlike that of many others. I thought about ways that the process could be improved. For starters, as I told the students, the dentists might think a little bit more about patient comfort when designing tools like the rubber isolation device. It was clearly designed to aid the dentists in their work, and not a lot of thought was put into how it might be made most comfortable for the patients. A couple of days earlier I was working on our documentary about Dr. Sarno. We were looking at the Senate panel on pain that Dr. Sarno was called to. One of the other pain specialists on the panel was a Dr. Maxiner from the UNC dental school. I started to design a study of the effect of mindfulness practice on not only the patients but also the dentists. I composed an email in my head. We met very briefly at Senator Harkin’s hearing on the pain epidemic back in 2012. Last week I was looking at the footage I shot that day. This morning I was having a cavity re-filled at the UNC Dentistry school and it occurred to me that we should work together on designing a meditation study to be run at the dental school. 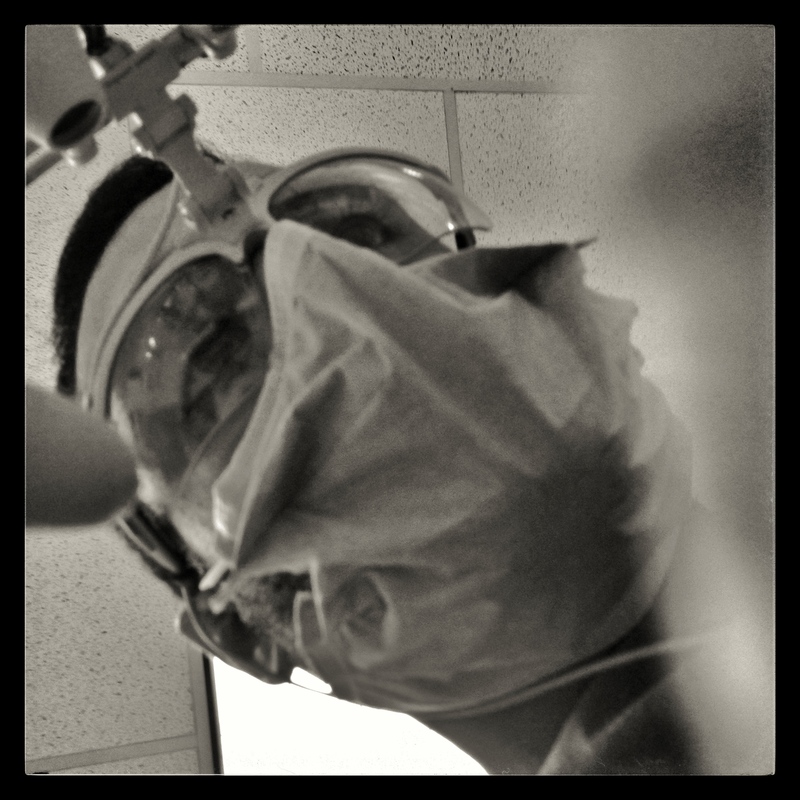 I have had a positive experience with the dental school, but the experience has given me some insight into the patient perspective that might be useful for you to hear. While working on our documentary about Dr. Sarno I have come to see how powerful meditation can be in regards to pain. While the student who is working with me has a big heart and a lot of compassion I realized that mediation could be good for both dentist and patient. The more mindful and present the dentist is, the more comfortable the patient should be. The same is true in reverse. If the patient is calmer, the dentist is likely to be calmer as well. I would be interested in helping you put together a study in which some of the students are given mindfulness training and instructed to use this knowledge as they deal with patients. The practice should help them become more aware of their own feelings so that they might be more present and empathetic to those of their patients. In regards to patients I think it would be extremely useful to give them a listening device that has a choice between a couple of different guided meditations and nature sounds like waves and wind (or a combination of both). They might also choose to listen to nothing, but perhaps noise cancelling headphones can also be used. It is my guess that patients who have these options are likely to have a much better experience. I thought about these things because I had to have a rubber dam put on to make sure my tooth stayed dry. It was extremely unpleasant. I felt like I was choking and the styrofoam block used to hold my mouth open was awful as well. It occurred to me that each of these devices was designed with the practical applications of helping the dentist with their task. They were ergonomic enough for the dentist but seemingly didn’t consider the patient’s needs as much. If the dam had been designed to curve the rubber away from the patients face it would have been much less claustrophobic. A less stressed patient is one that will be able to handle a procedure more readily and will likely heal faster. I look forward to your thoughts.